Luxury doesn't get greener than this. A massive luxury SUV may not be the first thing that comes to mind when you think “green,â€ but the hybrid drivetrain nestled in the 2009 Cadillac Escalade Hybrid makes an impressive impact on fuel economy. This SUV boasts all of the elegance, amenities and space the Escalade name has come to stand for while offering 50 percent better fuel economy than the gasoline-only version. 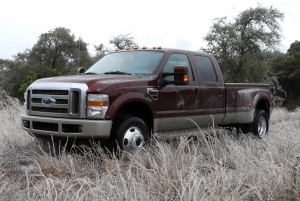 Unlike other hybrids on the road, this truck boasts a potent 6.0-liter V-8 for when you’re not silently gliding around town and a seamlessly smooth six-speed automatic transmission. 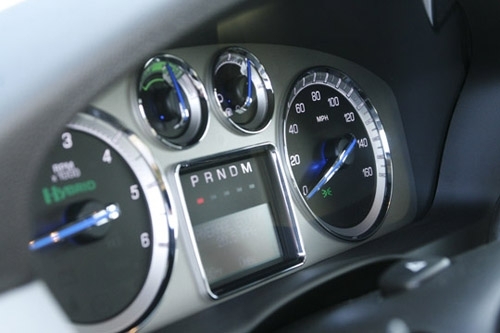 As a dual-mode hybrid, the Escalade can operate on either full-electric, full gasoline or a combination of both powertrains to optimize power and performance. Innovative and convenient features like a blind-spot warning indicator nestled in the sizeable side-view mirrors, a power rear lift-gate, a massive rear-view camera and Cadillac’s excellent magnetic-ride technology make this SUV stand out from the crowd. This is a Cadillac through and through. The interior is as attractive and inviting as the exterior is handsome. Smart-looking gauges display a wealth of information without being cluttered, and the hybrid drivetrain is beyond smooth. Above all else, this SUV is equipped with powerful brakes that bring the 5,700-lb truck to a stop with ease. Maneuverability is also surprisingly good thanks to a tight turning radius – just 39 feet for a truck that boasts a wheelbase almost 10 feet long. 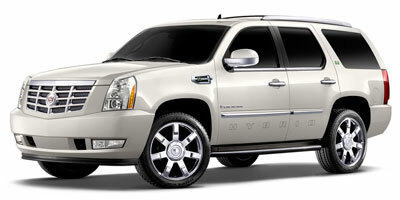 The Escalade Hybrid’s drivetrain is a star in every area except one. The regenerative brakes, responsible for replenishing the hybrid’s batteries, can be grabby at seemingly random times. In panic-stop situations, they can cause the anti-lock brake system to activate earlier than anticipated. Also, the $73,135 MSRP means this is one exclusive green machine. Hands down, the best part about how this hybrid drives is that it doesn’t feel like a hybrid. That is, it drives just like any normal gasoline vehicle. Power is abundant thanks to a combined 332 horsepower and 367 lb-ft of torque available from the joint effort of a 6.0-liter V-8 engine and the electric bits. Cruise along at 20 mph, and the potent V-8 goes into “Auto Stopâ€ mode to conserve fuel and the electric motor takes over. 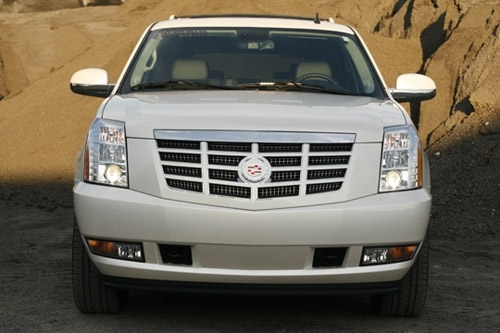 That means where a big SUV is usually at its weakest – in stop and go traffic – the Escalade Hybrid actually shines. Out on the open road, this Cadillac provides a comfortable ride that’s firm without being brutal thanks to the company’s magnetic-ride suspension. Steering is precise and well-weighted and the brakes are more than capable. Under the hood, GM has supplied the Escalade Hybrid with a 6.0-liter Vortec V-8 engine coupled to a six-speed automatic transmission. The six-speed is almost as amazing as the two-mode hybrid-electric system, providing beautifully smooth shifts. The transition from all-electric to electric and gasoline power is nearly imperceptible from behind the wheel thanks to the nearly-silent Vortec. Speaking of the V-8, the engine is also equipped with cylinder deactivation – meaning it’s capable of running on 8 or 4 cylinders depending on power needs. Shutting down unnecessary cylinders is another way General Motors has managed to see impressive fuel economy numbers from such a large vehicle. Aside from the fuel-saving hybrid system, this Cadillac comes loaded with eye-catching 22-inch wheels, a power-rear lift gate, rear-view camera, 14-way adjustable heated and cooled front seats, blind-spot warning indicators and power adjustable pedals. In a word, this truck is loaded. In fact, it comes standard with nearly every available option for the Escalade with the exception of four-wheel drive and power running boards, which can be had for an extra fee. All the goodies have much to do with the Escalade Hybrid’s steep price tag, but we’ll get to that later. Cadillac hasn’t skimped on any of the important tech goodies, either. A six-disc MP3-capable CD/DVD changer, DVD navigation, impressive 10-speaker Bose 5.1 surround-sound system, touch-screen entertainment center and Bluetooth-capable hands-free calling system are all standard. Backseat passengers are also treated to a flip-down LCD DVD screen with two wireless headphones and AUX jacks for gaming on the road. The EPA ranks the 2009 Escalade Hybrid at 20 mpg city/21 mpg highway, though our own numbers were slightly better than those. At first glance, they may not seem too impressive, but you have to keep in mind the sheer girth of this vehicle. The Escalade Hybrid weighs an astonishing 5,727 lbs, can seat five adults and three children, can tow 5,800 lbs and comes packed with every luxury amenity under the sun. 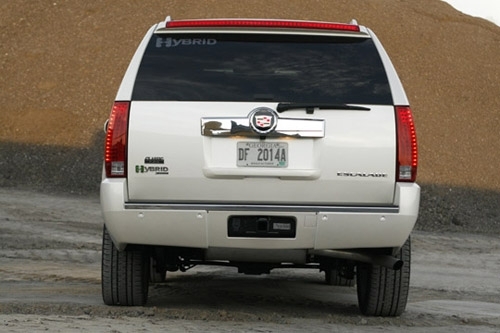 The Escalade Hybrid wears an LEV 2 emission certification. Inside, the Escalade Hybrid is indistinguishable from its non-hybrid brethren with the exception of a few badges here and there. Comfortable and well-crafted leather seats are the order of the day, as is a handsome dash with burl wood and brushed-aluminum accents. 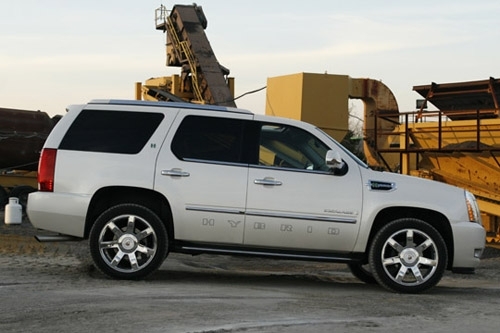 The 2009 Cadillac Escalade Hybrid benefits from a very clean, proportional exterior. The familial grille is well at home here, as are the slick HID headlights and bright, LED tail lamps. GM may have gone a bit overboard on the eight “hybridâ€ decals and badges outside, but they’re subtle in most cases. With an MSRP of $73,135, the Cadillac Escalade Hybrid competes with the likes of the Lexus LX 570 at $75,855, though other, lower-priced and less well-equipped luxury SUV’s like the Audi Q7 3.0 TDI at $50,900 and the Lincoln Navigator L at $55,440 can weigh in at this price point. Of those, only Audi’s offering can come close to matching the sort of fuel economy the Cadillac can boast, though you’d have to do some serious driving each year to make up the premium you pay for the hybrid. Cadillac has a genuinely impressive vehicle in its Escalade Hybrid. With a flawless transition between gasoline and electric operation, smooth six-speed transmission and a potent V-8 engine, there’s more to enjoy than just the fuel economy. Buyers are still treated to a level of luxury and convenience unsurpassed in the domestic marketplace, meaning you don’t have to give anything up for those better numbers at the pump. The one down side is the comparably high price tag, though we can hope that as hybrid systems become more common, the MSRP will drop accordingly.